Per Thoresson is the Swedish Ambassador to Switzerland, and was at the Swiss National Final last weekend (we suspect to support his daughter who was on the In-Studio Jury). After the show was over, the race was on to find out more about Heilsarmee, but Terry Vision had other ideas. After all, the pressing concerns this year are not the performers heading to Malmo, but (a) the lack of hotels in Malmo and (b) the excessive price of a bottle of Baileys Irish Cream in Sweden. Perhaps the Ambassador could reassure our Senior Eurovision Legend? Switzerland’s entry for Eurovision 2013 will be ‘You and Me’, sung by Heilsarmee. 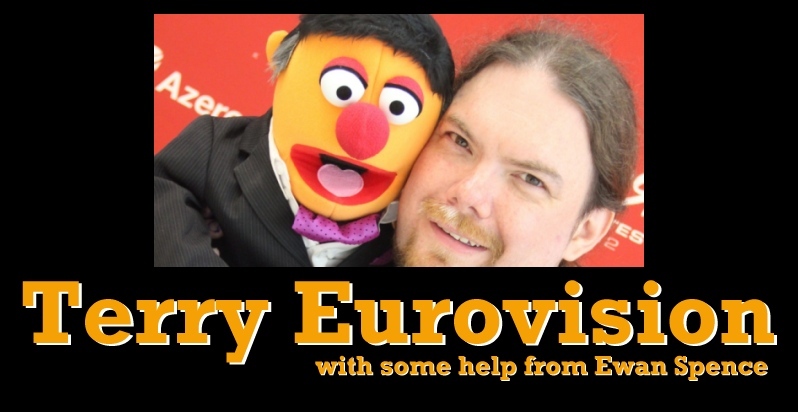 Terry Vision caught up with lead singer Christop Jakob backstage after the show to find out how The Salvation Army sees the Eurovision Song Contest. As well as the big question of ‘why?’, Terry also finds out that Heilsarmee are rather good at appropriating other song titles from the world of the Eurovision Song Contest (even if he is ‘one year out’ on the name-checked UK entry).